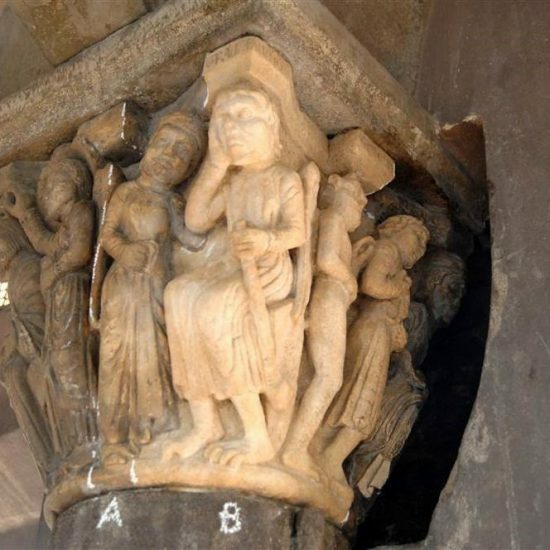 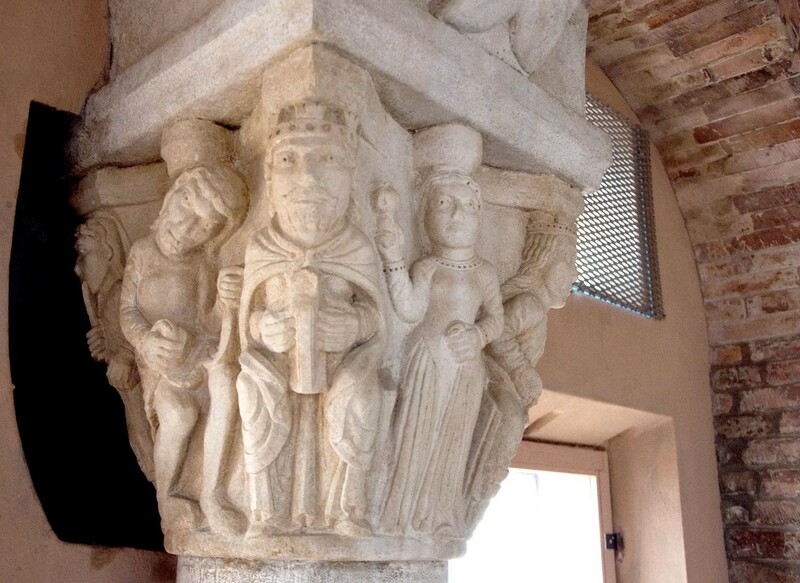 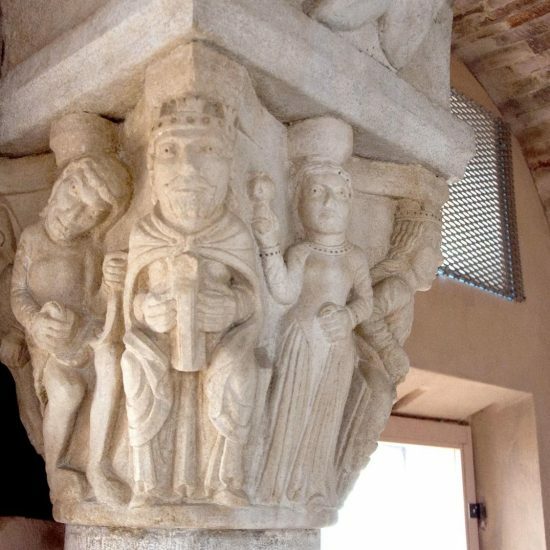 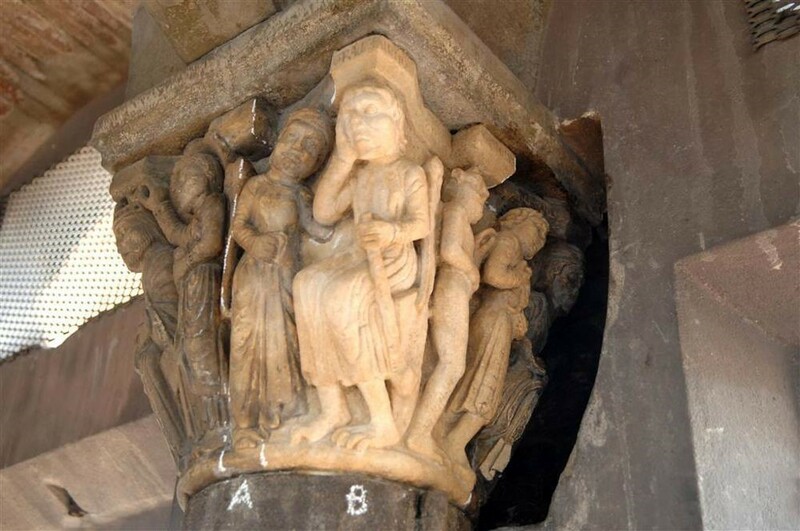 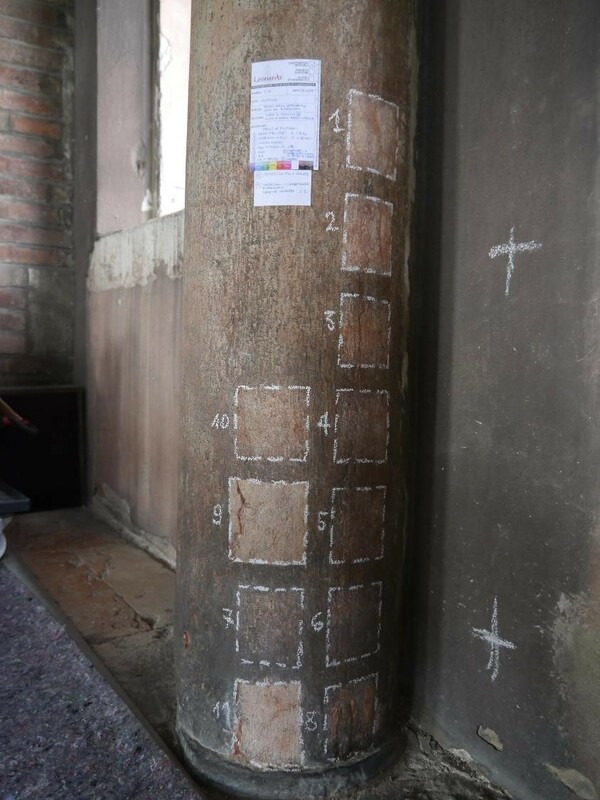 The intervention carried out in the Torresani Room concerned the eight columns and the stone benches, the wall renders and plastered surfaces. 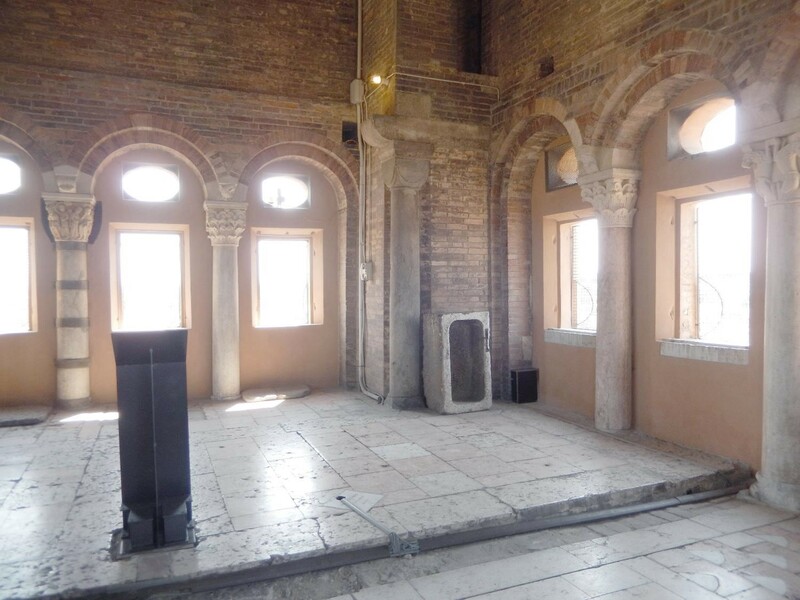 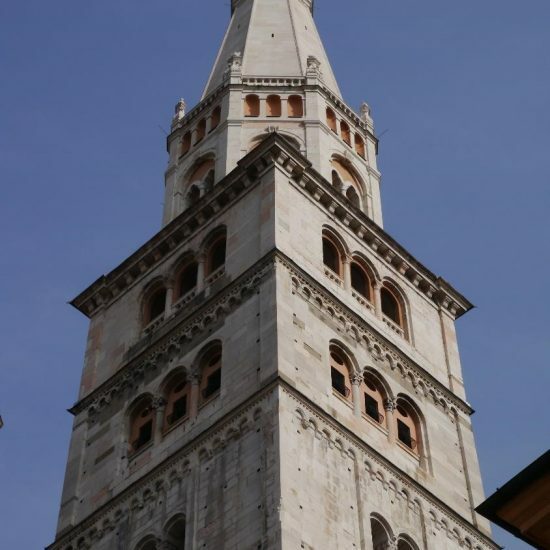 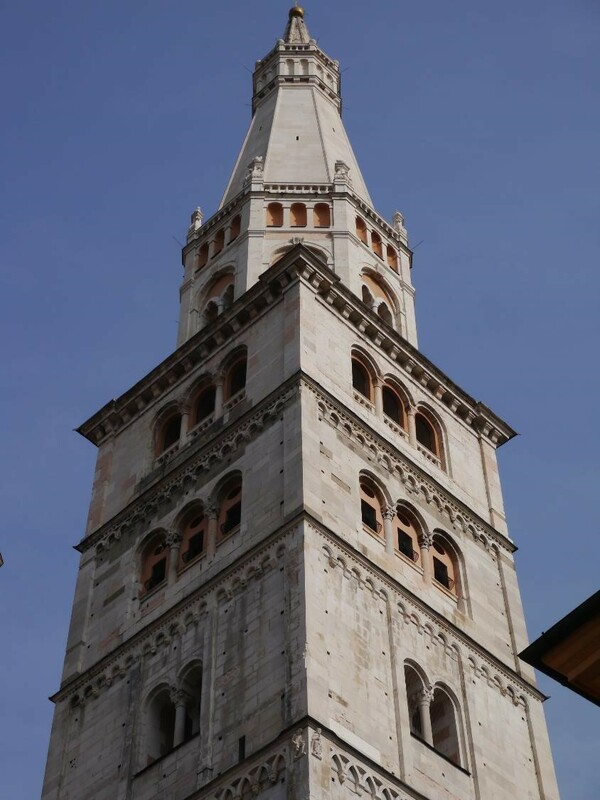 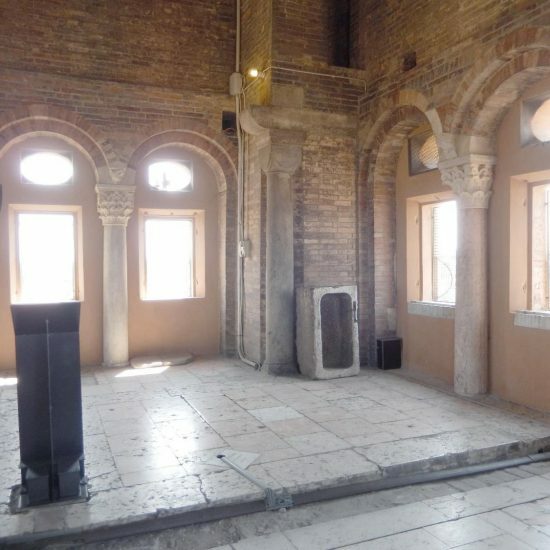 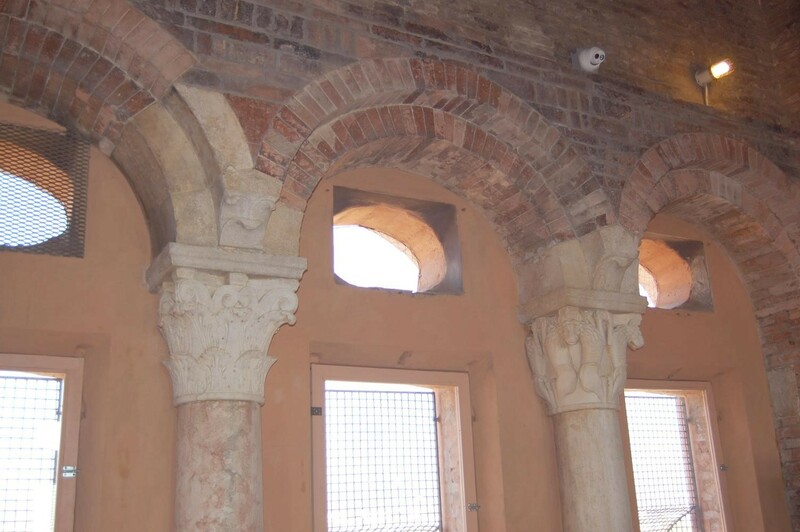 The restoration, conducted in constant consultation with the technical authorities of the Public Works section (LLPP) of the Council of Modena, was executed in the spirit of works designed to allow the opening of the tower in the winter period as well, and comprised the creation and positioning of furniture installations by the windows and oval apertures on the level where the Torresani Room is situated. 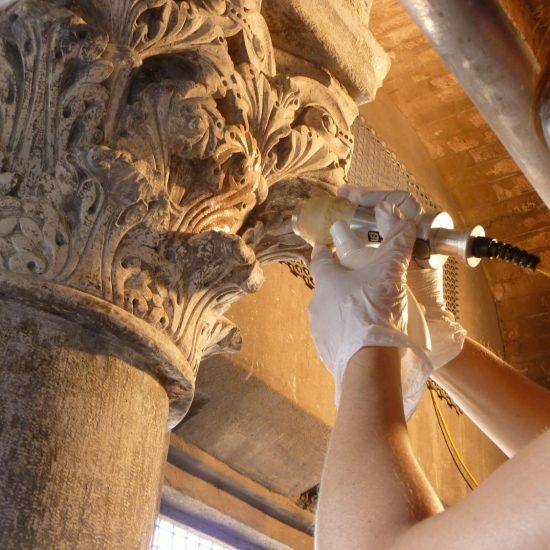 The work was characterised by a consistent preliminary phase of investigations and above all an accurate campaign of championing the restoration (and in particular the cleaning work) fundamental to understanding the most effective methodologies to adopt, with the objective of safeguarding the natural patina present on the surfaces of the artefacts. 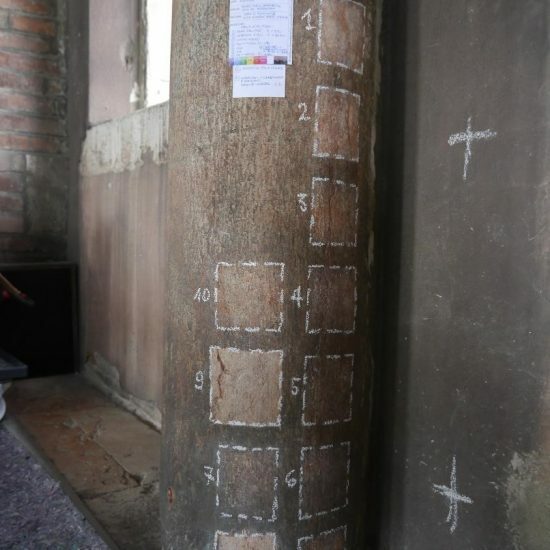 The use of diverse methodologies in the various areas – on the basis of the type of support, the entity itself and the nature of the decay – allowed for optimum checks and constant monitoring of results, achieved gradually. 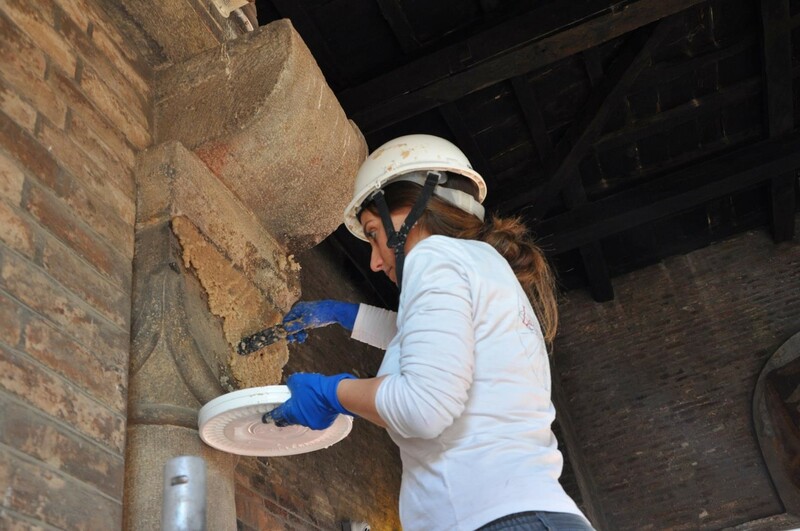 Based on the typology of the existing decay (deposits stuck to or partially adhering to the surface, the presence of acrylic layers ascribable to previous maintenance work, etc.) 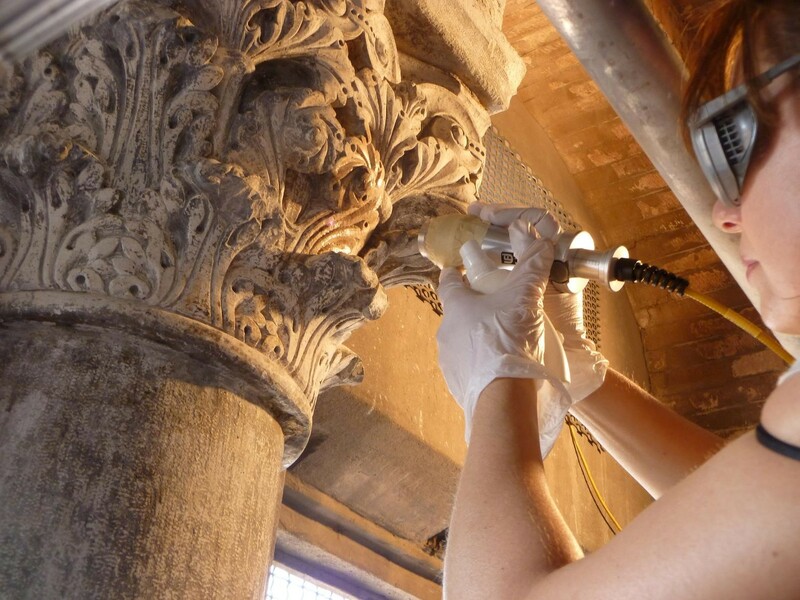 various cleaning systems were examined, among which were the laser or compression systems with nanotechnology gel products. 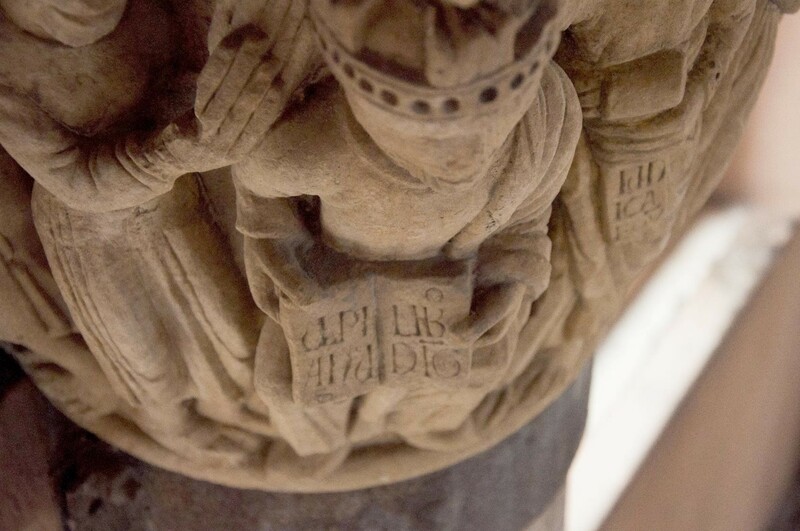 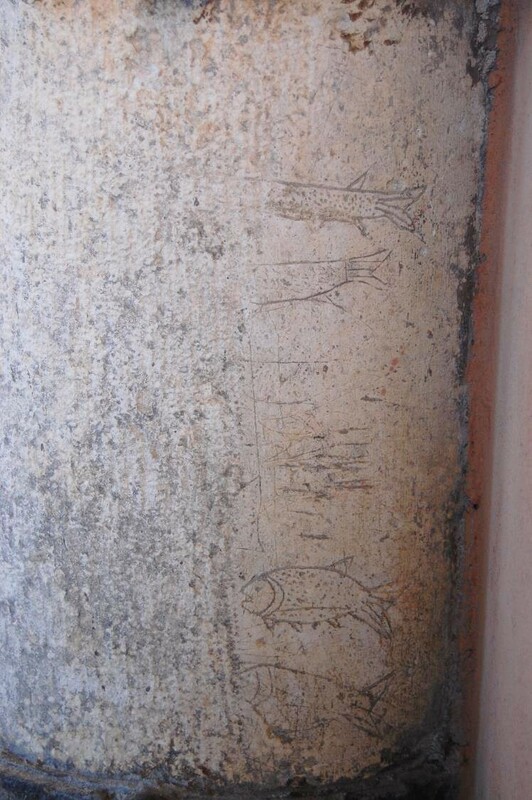 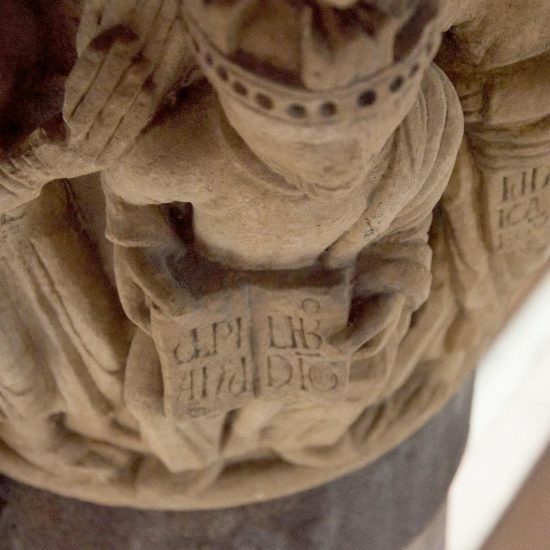 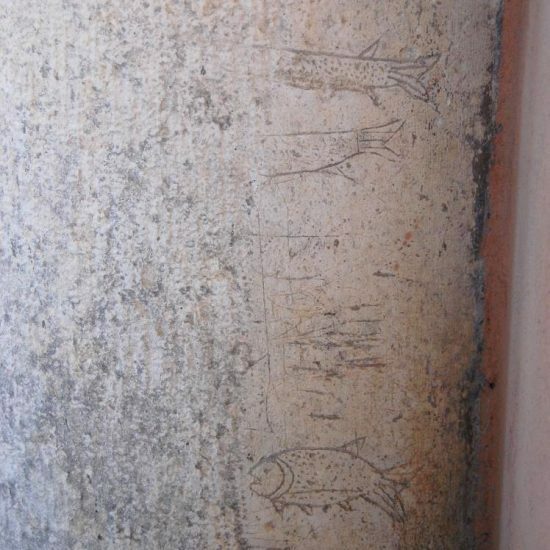 During the cleaning operation, some engravings depicting fish emerged, some of which were visible in their entirety and others were partially worn away from the marteline work carried out on the column, most likely during the work done to put the room to another use. 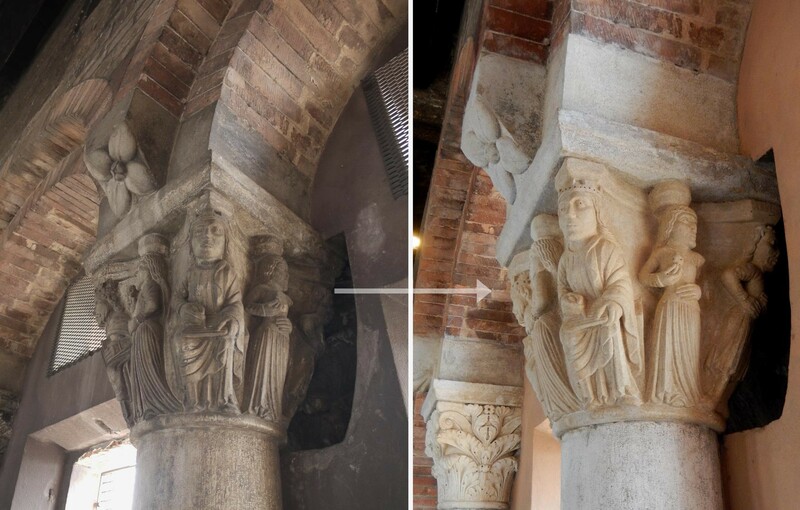 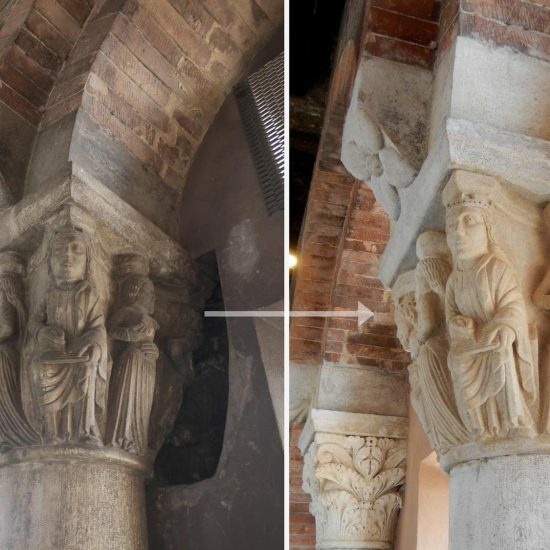 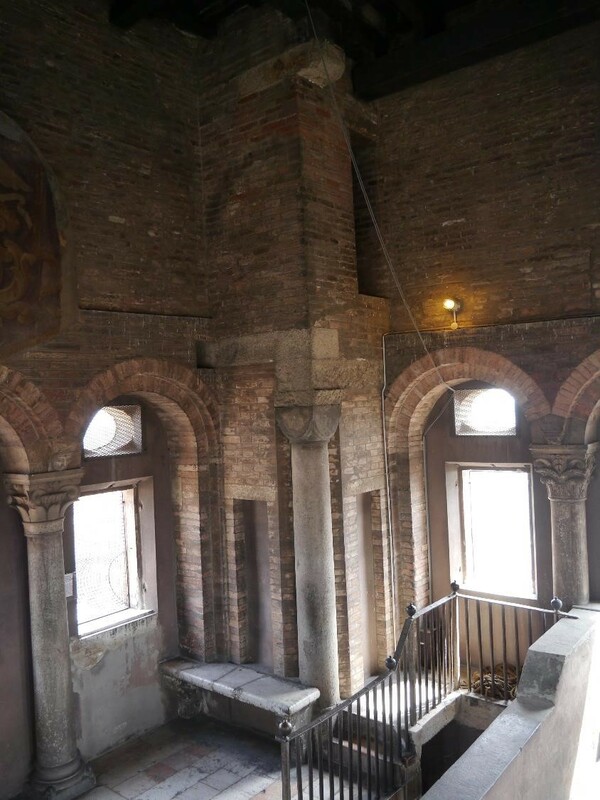 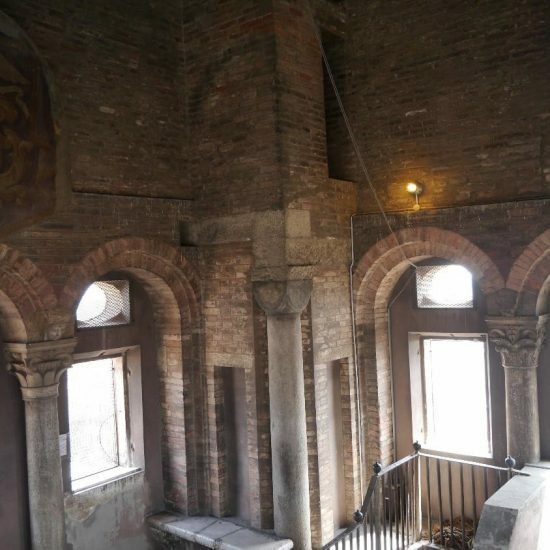 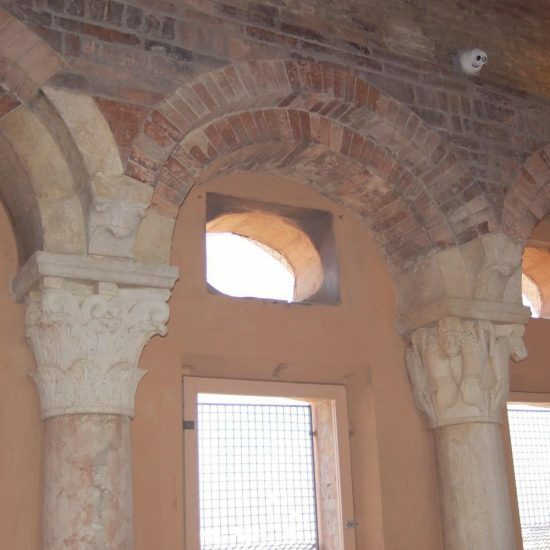 The restoration intervention of the Torresani Room was carried out according to the planning and works direction of the Council of Modena – Public Works section (LLPP), Cultural Heritage and Maintenance.